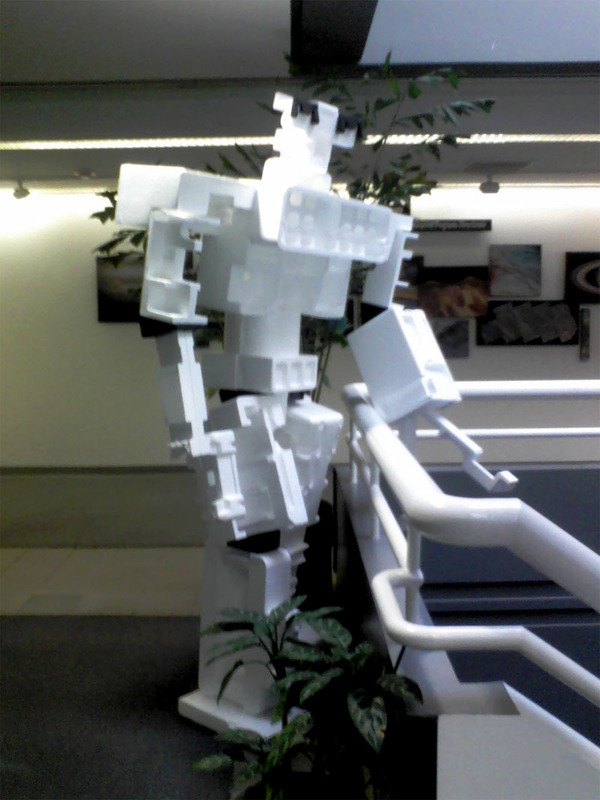 I started work at JPL working in the OPSlab department focusing on new technologies like the Kinect. It’s really fun and so are the people I work with. I get to do various graphics and even an interface or two. On top of that the internship is paid and I walk by a group of deer every morning from my car to the office, pretty sweet deal going on here. 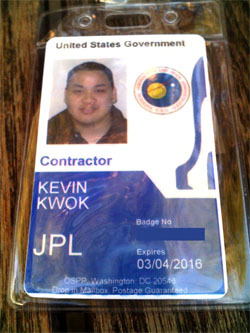 Take a look at my shiny badge, they put me as a contractor, hello extra level of clearance. I love this place can’t wait to see what comes out of my time here. This entry was posted in BIG NEWS, JPL and tagged art center, art center college of design, dan goods, Game Developers Conference, Game Developers Conference 2011, GDC, GDC 2011, Jet Propulsion Laboratory, jpl, kevin c kwok, kevin for google, kevin kwok, kevinforgoogle, kevinforgoogle.com, kevinkwok, kevinkwok.com, nancy chui, nasa, robots, Victor Luo. Bookmark the permalink.